I almost went in to this sequel without seeing the first movie; I only saw "Iron Man" for the first time on DVD a few weeks ago. However, "Iron Man 2" explains itself so well so that you don't need to have seen the original movie in order to appreciate and thoroughly enjoy this sequel. Now that the world know that Tony Stark (Robert Downey Jr., "Sherlock Holmes") is Iron Man, the government wants his Iron Man suits, claiming that they are a weapon. Stark, however, has bigger things to worry about, when Ivan Vanko (Mickey Rourke, "The Wrestler") attempts to kill him using a suit very similar to Stark's own, except with electrical whips as arms. Vanko's father has recently passed away, and he harbors a grudge against Stark's family since Vanko and Stark's father used to work together, until Stark's father had him deported back to Russia. Stark is also dying - his blood toxicity is going up due to the palladium that is keeping him alive and killing him at the same time. Gwyneth Paltrow ("Two Lovers") returns as Stark's right-hand gal, Pepper Potts, and "Iron Man 2" brings us a new cast of supporting characters: Sam Rockwell ("Everybody's Fine), who steals the show as the evil Justin Hammer, owner of a rival corporation, and Scarlett Johansson ("The Other Boleyn Girl") and Samuel L. Jackson ("Lakeview Terrace") as members of a top secret government organization that is looking to possibly recruit Stark. Jon Favreau ("Couples Retreat"), the director of the film, also stars as one of Stark's assistants. I would say Yes, definitely see this movie, especially if you've seen the first one. Between all the action scenes and the tech stuff (I envy Stark's arsenal of super advanced computers! 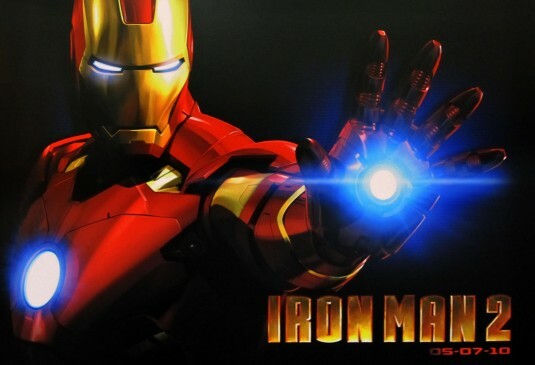 ), there is never a dull moment, and I actually enjoyed this "Iron Man" more than the original —mostly because Stark doesn't spend half the movie stuck in a cave in the Middle East. Like I mentioned before, you don't even have to have seen the first "Iron Man" to enjoy this one, and, in my opinion, this will be one of the summer's biggest blockbusters. "Iron Man 2" premieres in theaters this Friday.